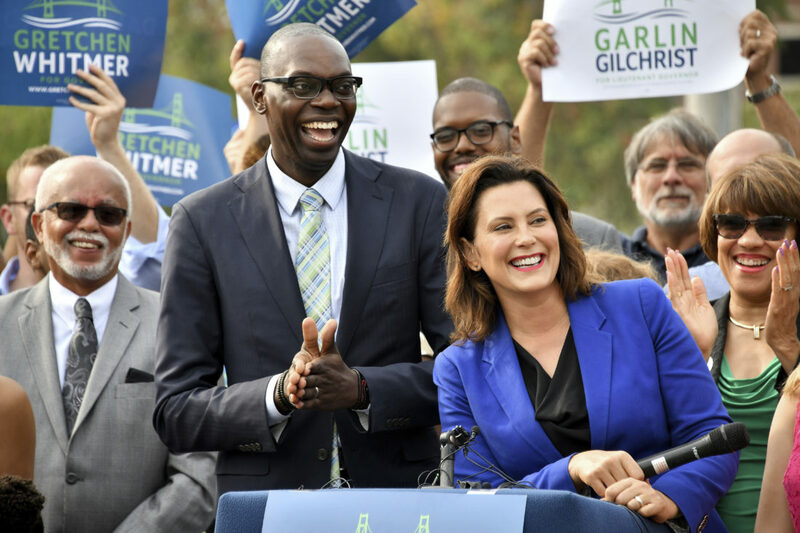 LANSING, Mich. — Democratic gubernatorial candidate Gretchen Whitmer announced the selection of Garlin Gilchrist II as her running mate Monday, calling the University of Michigan social media expert and former liberal organizer a “tech guru” who would fix problems in state government. The 35-year-old Gilchrist has been executive director of the school’s new Center for Social Media Responsibility since February. He has never held elected office but he previously worked for Detroit, where he was the city’s first director of innovation and emerging technology and created a system for residents to report problems such as potholes and broken street lights. 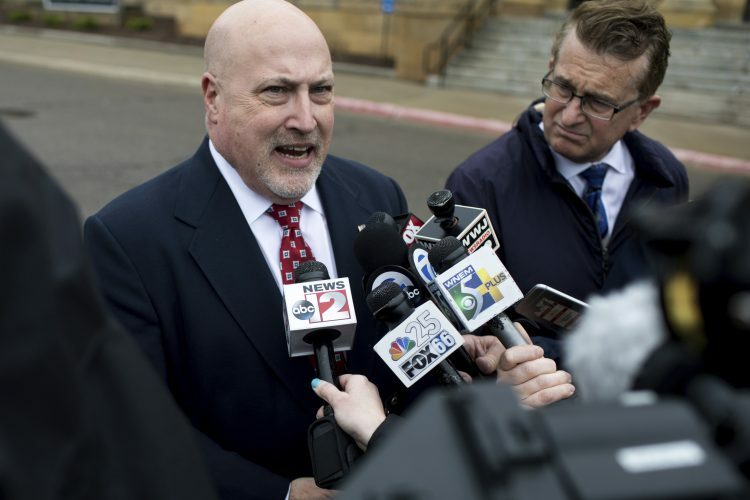 Gilchrist, who is black, adds racial and gender diversity to Michigan’s Democratic ticket, which otherwise features only white female candidates for the top offices of U.S. Senate, governor, attorney general and secretary of state. He narrowly lost a 2017 election for Detroit city clerk to the incumbent, Janice Winfrey. Born in Detroit, Gilchrist said his grandmother — a public middle school social studies teacher — “changed my life” when at age 5, she made him the first on his block to have a computer. He graduated from high school in suburban Detroit and studied computer science and computer engineering at the University of Michigan. After graduating, he moved to Seattle to be a software engineer at Microsoft and also was the social media manager for Barack Obama’s campaign in Washington state. He later worked at the Center for Community Change and MoveOn.org in Washington, D.C., on campaigns to expand Medicaid, fight poverty and promote economic, racial and environmental justice. Whitmer’s announcement came less than a week after her Republican opponent, state Attorney General Bill Schuette, named former state Rep. Lisa Posthumus Lyons as his running mate. Whitmer, a former legislative leader, downplayed Gilchrist’s lack of experience, saying she herself has more government experience than the last two governors, Rick Snyder and Jennifer Granholm, combined. She said Gilchrist is the “perfect” candidate to fix fiascos such as what occurred at the state Unemployment Insurance Agency, where officials mostly relied on a computer system to wrongly accuse thousands of people of collecting excessive benefits. The Michigan Republican Party criticized Whitmer’s choice, saying Gilchrist is too inexperienced to run the state, if needed. A pro-Schuette super political action committee, noting Gilchrist’s work for MoveOn, pronounced the Whitmer-Gilchrist ticket as “the most liberal” in state history and criticized Gilchrist for filing campaign-finance reports late.